The Huron River needs your help today. Please take a moment to help us improve the Huron by advocating for the removal of Argo Dam - thus restoring a six-mile stretch of the river and uncovering 30 acres of new park land. The restoration will make for portage-free paddling from Barton to Geddes Dam, and will create new seasonal whitewater resources in downtown Ann Arbor. It will only take a moment. Follow this link and scroll the bottom of the page: http://www.a2gov.org/government/citycouncil/Pages/Home.aspx. Copy and paste the sample letter at the bottom of this message and include your name, address, and phone number. If you are not a city resident, you can still write on behalf of improving the ecology and adding new recreational opportunities to the Huron River. Many of us drive from Lansing, Flint, Battle Creek, Windsor, and even Toledo to enjoy the existing whitewater the Huron has to offer. Each and every paddler's voice is important. For more information about why Argo Dam is a detriment to the health of the Huron River, visit http://www.restorethehuron.org. 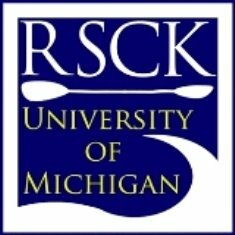 Each year, the RSCK program at the U of M introduces 200 new people to the sport of kayaking. Kayak clubs in Lansing and Ypsilanti are also integral to bringing new paddlers to the river. 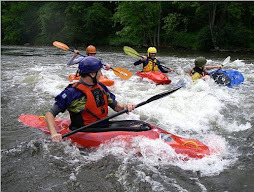 Whitewater kayaking has been a tradition on the Huron River for over 40 years. Now we have the opportunity to create new whitewater features for teaching, training, and playboating, while improving the ecology of the river and providing an economic benefit to the Ann Arbor community. Other groups supporting dam removal include: Huron River Watershed Council, Michigan League of Conservation Voters, Ann Arbor Chapter of Trout Unlimited, Washtenaw Audubon Society, American Rivers, and the Huron River Fly Fishing Club. Thank you for your support! Please pass this email along to any contacts you have who would be in support of this effort. Copy, paste, and send the sample letter below using this link: http://www.a2gov.org/government/citycouncil/Pages/Home.aspx. Scroll to the bottom of the page for the link to email the city council and Mayor in one message. Please vote to restore a free-flowing section of the Huron River by removing Argo Dam. Removing the dam will improve the river's ecology and expand the recreational opportunities available to Ann Arbor's residents and visitors. A free-flowing river will have improved biodiversity, making Ann Arbor's urban river a haven for wildlife, both terrestrial and aquatic. 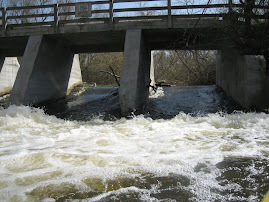 Activities that are popular on upstream portions of the Huron River, including fly-fishing and whitewater kayaking, will flourish in downtown Ann Arbor if the dam is removed. Fishermen and kayakers, along with joggers, bird watchers, and day-users of the 30 acres of new park land will provide an economic boost to the city. Many state agencies support removing the dam, and I hope the Ann Arbor city leadership will agree that an Argo-free Huron River will be a remarkable and positive change for the city, the river, and those who enjoy it.